Asheville, North Carolina, is a wonderful college town in the Blue Ridge Mountains. It is the largest city in Western North Carolina, with about 80,000 inhabitants. This city has been named as the “most vegetarian-friendly” small city in the US by PETA, the “Happiest City for Women” by Self and one of “America’s Top 25 Arts Destinations” by American style. It is full of young people and nature, and many dog-friendly resources. It has a humid, subtropical climate, so is a good place for northerners to head this time of year! This is an outdoor art museum that is also a 1.7 mile walk. It has 30 stops that mark Asheville’s history, as well as some beautiful architecture. It is an ongoing display of public art, put up by volunteers. This tour goes through the Guilded Age, the Frontier Period, the Times of Thomas Woolfe and more. You can get an audiocassette to do this tour, and bring your dog along on a leash. It is a great opportunity for some history and exercise! This is the extravagent estate of George Vanderbilt, one of the biggest homes in America. It covers four acres with 250 rooms, and the grounds stretch for 8,000 acres! Leashed dogs can go around the grounds but not in the buildings. It has a shopping center, wine, eateries, gardens, outdoor recreation and seasonal events. This is a beautiful place for nature-lovers. You can hike around the trails, and get 360 degree views of beautiful forested slopes. Dogs are allowed to accompany you on leash. This is a park if you’re up for doing some hiking and catching some amazing views, or to check out the Hickory Nut Falls. There is also a 185 stair walk into a narrow passage. Probably one of the best spots to see the mountains. If you want to give your dog a treat after some fun hiking, head out to this spot. They offer natural cookies and snacks for dogs, as well as some practical stuff. This restaurant specializes in catfish sandwiches and hot dogs, hence the name. Dogs are allowed at outdoor tables. This is a Mexican restaurant, that is great for meat eaters and vegetarians. Dogs are allowed at outdoor tables. This restaurant serves espresso drinks, breakfast, cocktails, dessert, snacks, lunch, dinner and Sunday Brunch. They also have organic wine, as well as local/gluten-free beer. Check out their drink menu. Dogs are allowed at outdoor tables. 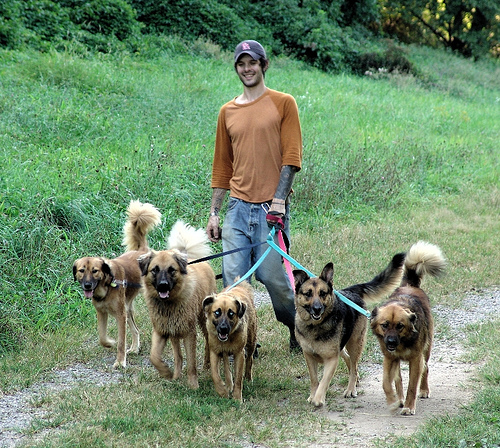 How do I find cabins/houses to rent in Asheville, NC that are pet friendly?